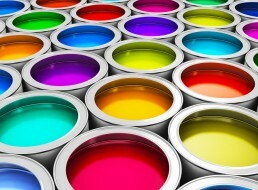 Home » Archive by category "Bathroom Essentials"
Choosing the right paint is an important factor in bathroom design. It can influence your time spent cleaning and even prevent mold. 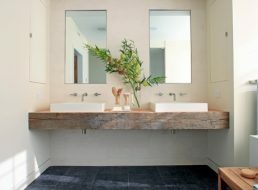 Master Bathroom Mirrors: Form or Function? 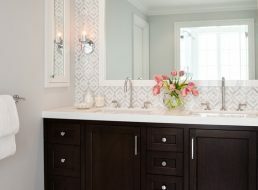 Master bathroom mirrors can be beautiful and functional. This guide will help you choose the right one for your needs. Traditional bathrooms are elegant and relaxing. Transform your existing bathroom or guide your renovation with this guide to the key characteristics of traditional design style! 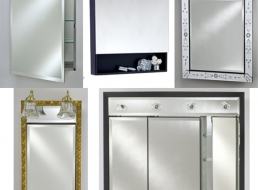 Looking to add a medicine cabinet to your bathroom? 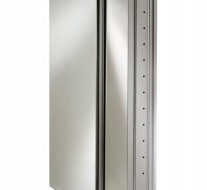 Come check out this article to help you to get the measurements you’ll need to take before you choose a recessed or surface mount medicine cabinet for your bathroom. Medicine cabinets can be beautiful as well as functional. 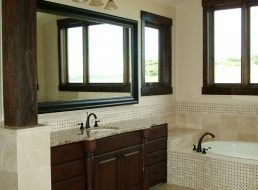 Learn about the different styles and options available to choose the best one for your bathroom. Need help finding that perfect mirror? 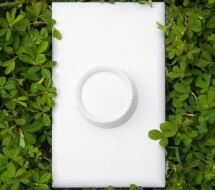 Come checkout this helpful article to find your bathroom lighting essentials. Sick of those streaks left behind after you finish cleaning your mirror? If so, come check out these great helpful hints to help get your mirrors sparkling clean. 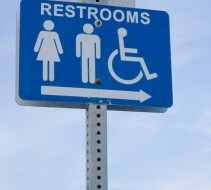 Come check out the ADA guidelines for creating handicap accessible facilities. This article will help simplify the guidelines. 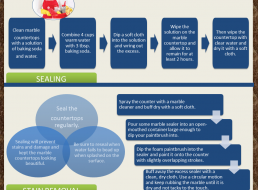 Check out this infographic on how to properly care for and maintain your marble countertops in your bathroom or kitchen for years of beauty.